Born in the Holy City of Madinah, the Imam was given the name “Muhammad” due to his resemblance to the Holy Prophet (s.a.w). His title “al-Baqir” means “the one who splits open knowledge” and is reported to have been attributed to him via a Prophecy of the Holy Prophet himself. Due to the Umayads preoccupation with the ‘Abbasid threat to their rule, the fifth Imam was able to publicly teach Muslims and revive the sciences, which led to the advanced Islamic Sciences being taught by the Imam to renowned jurists and masters of both the Shi’a and the Sunni traditions. Sunni scholars including “Abu Hanifa” and “Malik b. Anas” both studied under the fifth and sixth Imam. 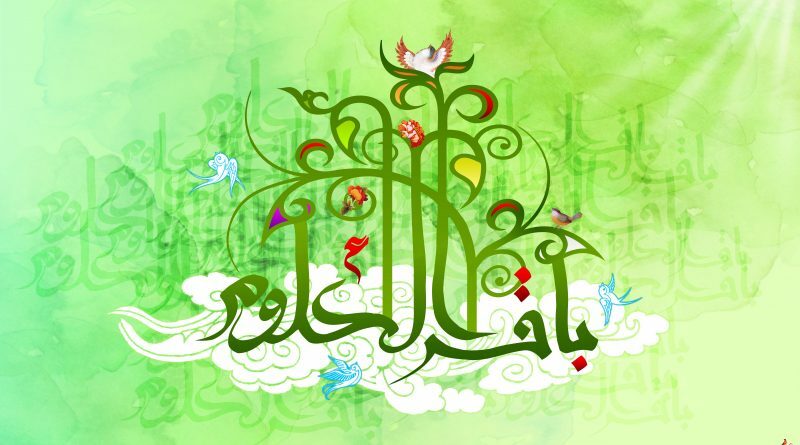 It was under the period of the fifth Imam that Islamic sciences witnessed significant advancements and the traditions and theology of the Shi’a Imamiyyah were able to surface and spread in ways not available for the Imams preceding Imam al-Baqir. This is reflected in the books containing the sayings of the Holy Imams, in which it can clearly be observed that the Imam and his son Ja’far (the sixth Imam) have transmitted more narrations than the rest of the Imams put together. The Holy Imam was martyred in 114 A.H, bringing the period of his Imamate to a close. He left behind clear decrees that he was to be succeeded by his son, Imam Ja’far al-Sadiq (a.s).